Written for young readers ages 9-12, the "Children Should Know" series introduces children to great artists, artworks, and architecture in a fun and engaging manner. 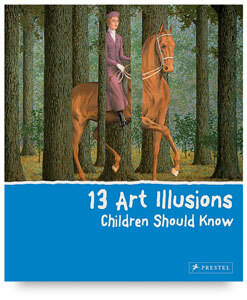 Children love to be fooled, and artists are some of the greatest tricksters around. This book features artworks that incorporate a variety of methods for tricking our eyes including trompe l’oeil, Surrealism, Photo Realism, and clever uses of color and perspective. 48 pages.